Recently I had a chance to combine a non-glass related visit to Auckland with seeing several glass exhibitions and activities. Nothing particularly links these things except my participation, but they did provide some acquisitions for my collection. I have divided them up so they don’t make too big a blog – this is the second of what will probably be a series of three. Living in the North, I don’t get to attend gallery exhibition openings very often. so I was delighted to realise that my being in Auckland would coincide with the opening of the exhibition Whispers at Masterworks Gallery in Ponsonby. The exhibition (on until 17 November) comprises five stunning chandeliers made by ‘The Crystal Chain Gang’ from Masterton, being Jim Dennison and Leanne Williams. Sadly, the ‘Gang’ was not present (I guess it’s a long way from Masterton to Ponsonby), but they certainly had a presence. Jim and Leanne made their first chandelier in 2006. Because they are so labour intensive, the chandeliers are usually made as ‘bespoke’ items, made for a client on commission. 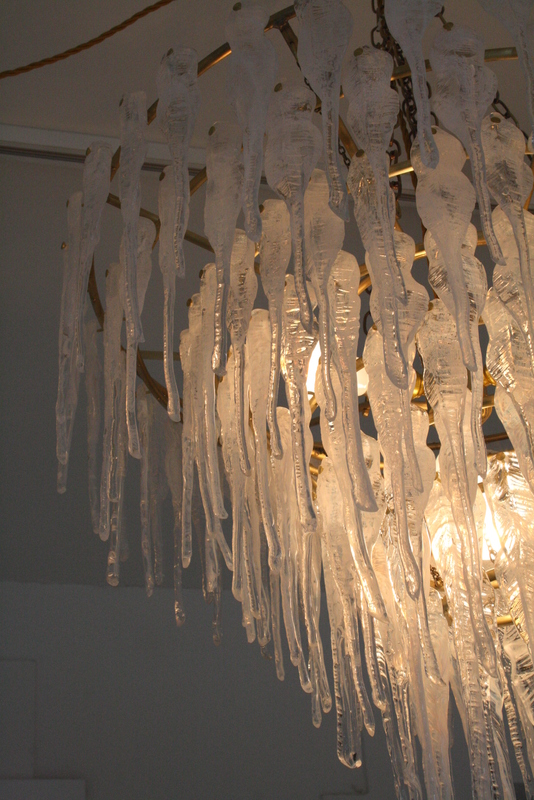 Although by their nature chandeliers are made to be highly visible, they are not often able to be seen publicly, and especially not as a group. Fortunately for us, the current Master of Masterworks Eloise Kitson worked with Jim and Leanne to bring a group of these chandeliers together in an exhibition, five splendid Masterworks. Eloise kindly approved my photographing these so here they are. No photo has all five, but above are four of them. 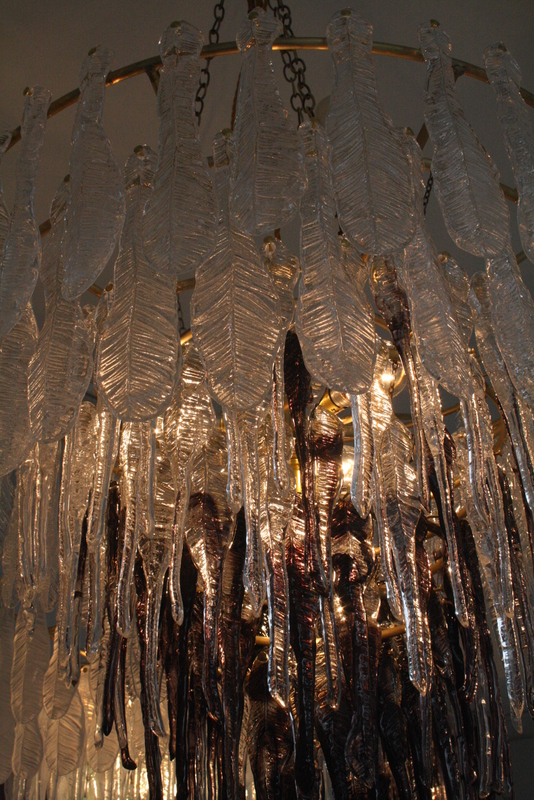 Jim and Leanne often reference birds and feathers in their glass art, and these chandeliers are very feathery items indeed. But while some of the individual components are whole birds and some are individual feathers, as seen at left, very effective use was also made of elements comprising just the spine of the feather, as in the example at the right. A wonderful video running in the gallery showed how these were ‘mass-produced’ (something of an overstatement for these individually crafted pieces) by the Chain Gang. This is the fifth chandelier, and is probably my personal favourite, though sadly the architecture of both my house and my budget mean I’m not likely to be able to add this to my collection. But I was delighted to have the opportunity to see this wonderful group of works. Thanks, Jim and Leanne (and Eloise). Two footnotes. 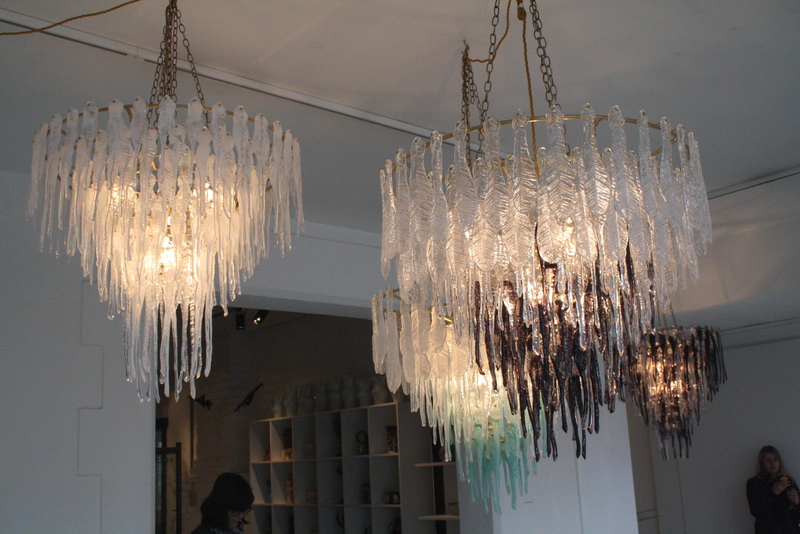 Jim and Leanne have a great website which documents their work, both chandeliers and other amazing creations. It’s well worth exploring at http://www.crystalchaingang.co.nz/. Secondly, for northerners, the Crystal Chain Gang’s current touring exhibition Fancy Fool’s Flight opens at Piece Gallery, Matakana on 23 November until 16 December. I saw this remarkable show when it was at Objectspace in Auckland. It’s amazing, and I’ll certainly be calling in to have a second look while it is in Matakana. 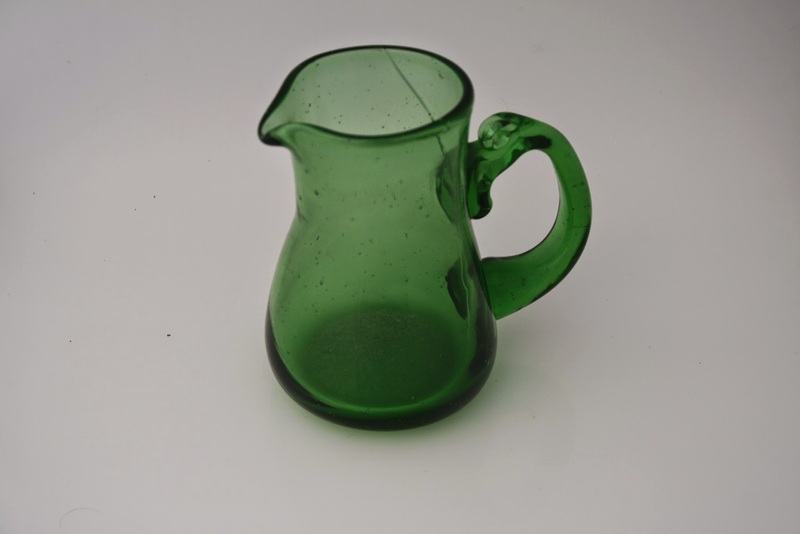 As its name says, this blog is about New Zealand glass, mostly as a form of discipline to keep my enthusiasm in check. But occasionally, as you may have noticed, I stray a little, usually when there is a New Zealand connection. I also deal mostly with glass that is blown or cast. But this entry is about flat glass, architectural glass, stained glass, and although these windows are in New Zealand, they sit very firmly in the tradition of Irish glass. The New Zealand connection is both the location of the windows, in the Karori Crematorium and Chapel, Wellington, and a link to contemporary New Zealand maker of stained glass windows, Kathy Shaw-Urlich. are considered to be the most important set of twentieth century imported windows of their kind in New Zealand. 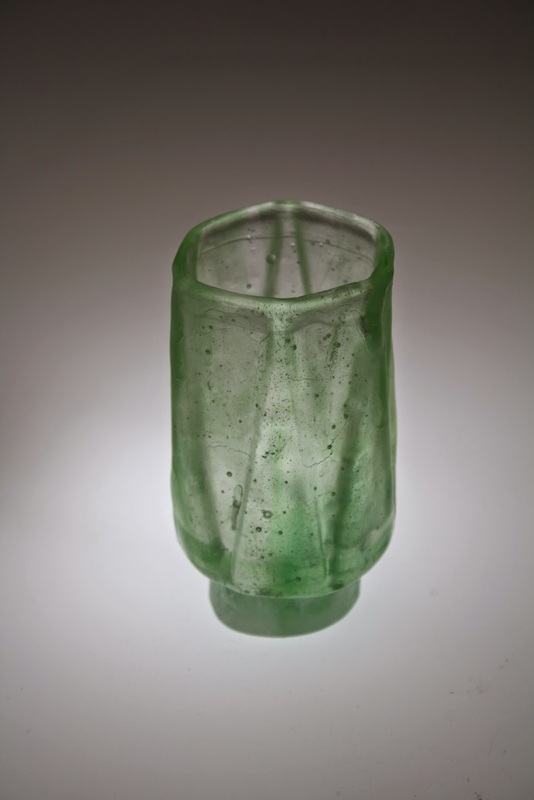 They are also the most significant group of windows produced by the Dublin glass-making studio An Tur Gloine which exist outside Eire and Northern Ireland. 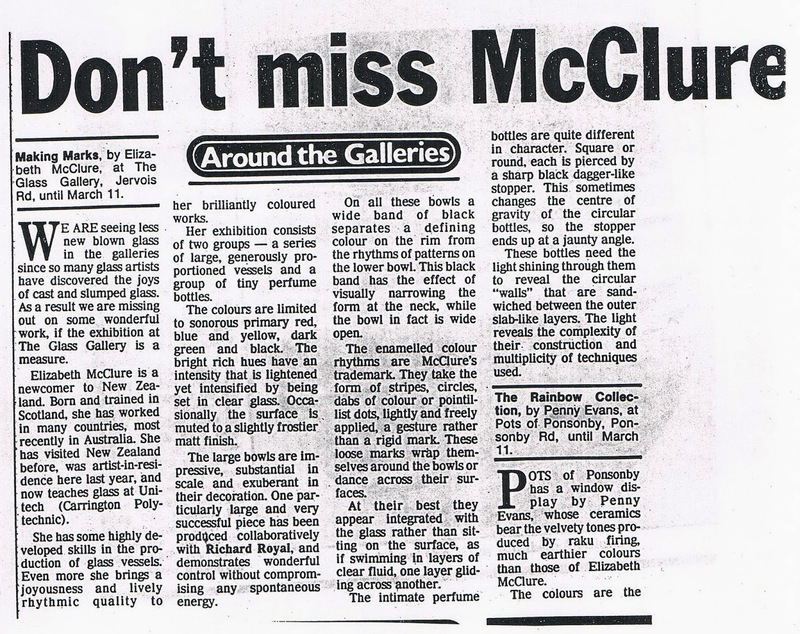 New Zealand’s acknowledged specialist in stained glass, Dr Fiona Ciaran, has said that windows from An Tur Gloine are recognised as being among the greatest achievements in glass of the twentieth century. 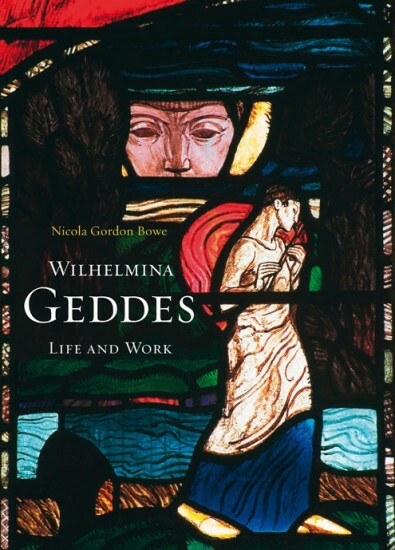 At Karori, we New Zealanders are fortunate to be able to see two wonderful examples of Wilhelmina Geddes’ work. Five of the Karori windows commemorate members of the extended family of William Ferguson, engineer and secretary-treasurer of the Wellington Harbour Board, and an early proponent of a crematorium for Wellington. Wilhelmina Geddes’ windows in Karori are Faith, in memory of Jane Ann Moorhouse, William Ferguson’s mother-in law, who had died in 1901, and Hope, in memory of his daughter Louisa Sefton Ferguson, who had died in 1910 as a child of only eight years old. Faith depicts a sword-bearing Angel of Faith, leading a woman safely through a forest inhabited by wild beasts and a raven, and a red-haired temptress. At the top are vignettes of Moses in the bulrushes, and Moses as overseer in Egypt. Hope has a much gentler Angel of Hope, waiting to greet a child in a boat, who is ‘crossing over’, surrounded by doves – the young Louisa, presumably. The clear pane by the child’s head results from damage that had been done before the conservation of the window in 1984. It is thought that a lamp or candle was in the angel’s hand as a beacon of hope, and the possibility remains of restoring that element to the image. The 1984 conservation returned the windows to sound condition, though sadly in the subsequent 30 years some of the windows have bowed, there’s a recent break in one, and a good clean would not go amiss. By 1914, William Ferguson and his wife had suffered the loss of a mother and a daughter, and this presumably was what turned their thoughts to commemorative windows. Ferguson had studied at Trinity College, Dublin, and it is thought that he had met there one of the founders of An Tur Gloine, Sarah Purser. It was Purser who invited Wilhelmina Geddes to join the group in 1912, and so the Ferguson commission completed the circle. There is also a personal connection for me, since William Ferguson’s nephew was the noted Auckland eye surgeon and community benefactor the late Lindo Ferguson, who was such a staunch supporter of Auckland Museum when I was there, and subsequently a good friend in Northland. But the New Zealand connection in glass is, as I mentioned, through Kathy Shaw-Urlich, whose worked I have blogged about previously (see for example http://newzealandglass.blogspot.co.nz/2012/09/kathy-shaw-urlichs-tokerau-matariki.html, http://newzealandglass.blogspot.co.nz/2013/02/new-glass-for-whakapara-marae.html. Although she was born in England, Kathy has whakapapa connections to Ngāti Hau at Whakapara and Te Uri o Te Aho o Ngāpuhi, and now lives and practises in northern Te Tai Tokerau. Kathy has told me that Geddes has been her stained glass hero since she first saw Geddes’ work in the William Morris Museum in Walthamstow, an exhibition entitled Stained Glass Women Artists of the Arts & Crafts Movement in 1986. Kathy initially trained in architectural stained glass at Swansea in Wales, where she did an intensive study of Wilhelmina Geddes’ work, having visited most of her windows in Britain and Ireland as well as the Karori windows beforehand. In 1989 Kathy wrote a dissertation on Geddes, focusing on the window in All Saints Church at Laleham in Surrey. Kathy was delighted to see that Nicola Gordon Bowe has chosen a detail from that window for the book cover. I was going to restrict myself here to Wilhelmina Geddes’ windows at Karori, but there are three more Ferguson family windows by another An Tur Gloine artist, Michael Healy, and it seems sensible to complete the series. Charity was made in 1931, and commemorates William Harold Sefton Moorhouse, William Ferguson’s brother-in-law, who died in 1929. Love, also made in 1931, commemorates William Ferguson’s wife, Mary who had died the previous year. Finally, there is Wisdom, made in 1937 to commemorate William Ferguson himself. It is one of the last windows Healy made, and the only one of the Karori series to be signed by the artist, with the studio name as well. There is a recent break in a lower right green pane. 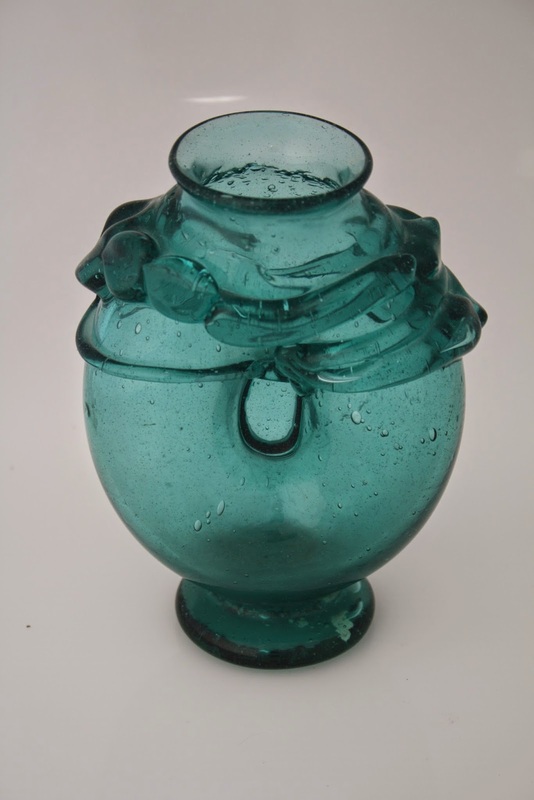 John Croucher was an important influence on the development of glass in Auckland and New Zealand. After some experimentation and with the support of the Queen Elizabeth II Arts Council John set up Sunbeam Glassworks in Jervois Road in 1976. 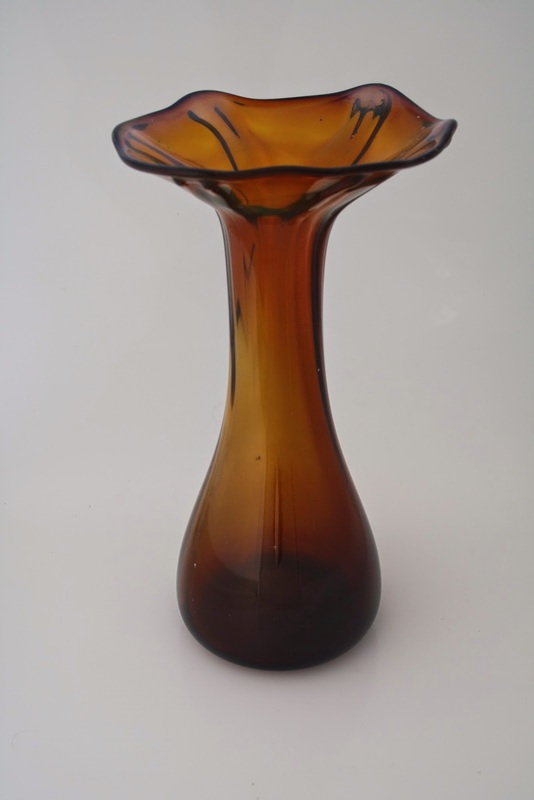 Formed as a loose co-op of several craft-workers, glass production included hot glass, flat glass and flame working. In 1981 two new glass-blowers became partners with John Croucher at Sunbeam. Ann Robinson was a student at Elam in 1980, and while there met Australian Garry Nash. After Ann graduated from Elam, she and Garry joined John Croucher at Sunbeam in 1981. They developed the new Sunbeam studio in McKelvie Street in Ponsonby. This was a highly successful partnership, and the Sunbeam artists brought wide exposure to this new art form. Photo: Krzysztof Pfeiffer, from Pacific Glass ’83. One of the Sunbeam pieces that made quite an impact was John Croucher’s Hot Lips Trilogy, made in 1982. John has told me that the inspiration for the design came about purely spontaneously while he was trying to make welded lip vessels. Hot Lips Trilogy was one of John Croucher’s entries in Pacific Glass ’83, the first major exhibition of glass in New Zealand. The exhibition opened at the Govett-Brewster Gallery in New Plymouth to coincide with the second NZSAG Conference, held at Inglewood, before touring the country in 1983–84. The 1982 trilogy from Pacific Glass ’83 was acquired by the Dowse Art Museum in Lower Hutt in 1983 (1983/25/1, 1-3. The pieces are 33cm, 28.5cm and 13.5cm h). A very similar trilogy, made in 1983, was acquired by the Powerhouse Museum in Sydney in 1984; only a monochrome record photo is currently available. Still another Hot Lips Trilogy in grey and red was acquired by Auckland War Memorial Museum in 1986 (G.428, 1986.9). Its date of making is not recorded, but was probably 1985. The writing of this blog is stimulated by my own recent purchase from TradeMe of a small Hot Lips vase, the second in my collection, shown below on the left. The larger piece on the right I have mentioned in a blog previously (http://newzealandglass.blogspot.co.nz/2014/09/so-who-was-gbc.html), but I’m happy to include it again now I have two. I’m one vase shy of a trilogy, but still looking! John Croucher’s original partner at Sunbeam was James Walker, who sadly died in 2011. (I wrote about his death in my blog on 9 April 2011 http://newzealandglass.blogspot.co.nz/2011/04/james-walker-1948-2011.html). James bequeathed two Hot Lips vases to Hawke’s Bay Museums Trust. Although not signed or dated, these are much more decorated than the original forms. It would be interesting to see how many variants there are. Looking for Emma Camden Glass Charms – do you know where these are? 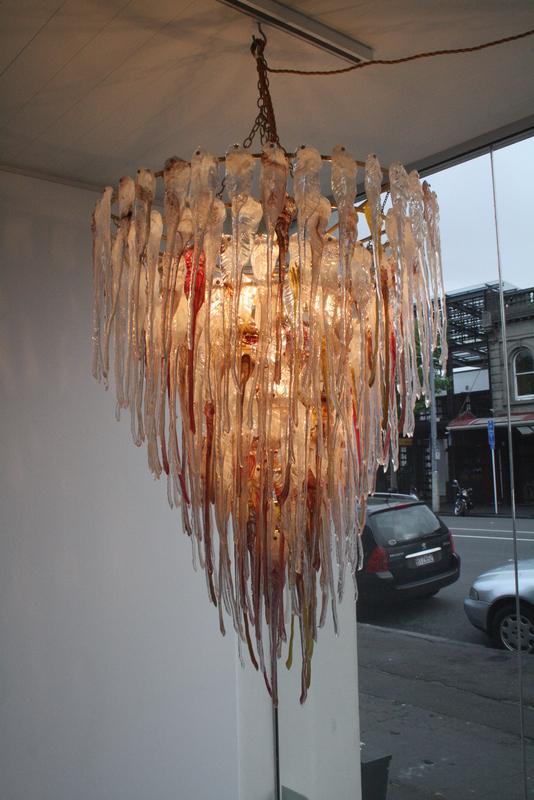 In June 2007, I purchased this piece from Emma Camden’s exhibition …something remaining… at Avid gallery in Wellington. ‘Fading memory’ is cast in pale yellow translucent glass. It represents a charm bracelet trinket in the form of a revolving double sided mirror. Cast into the glass ‘mirror’ face are the words ‘Fading’ on one side and ‘memory’ on the other, so that the words show through to combine as ‘Fading memory’. It is 14cm wide and 16cm long, with the ‘mirror’ being 10cm in diameter. The exhibition at Avid included several of these bracelet ‘charms’ in glass, which I understand were pieces based on a charm bracelet that belonged to Emma’s mother. Emma is preparing for a retrospective exhibition (that’ll be something to look forward to! ), and she’d like to locate the other pieces from the Avid exhibition. If you have these pieces, or know where they might be, Emma would love to hear from you – contact her direct, or through this blog. 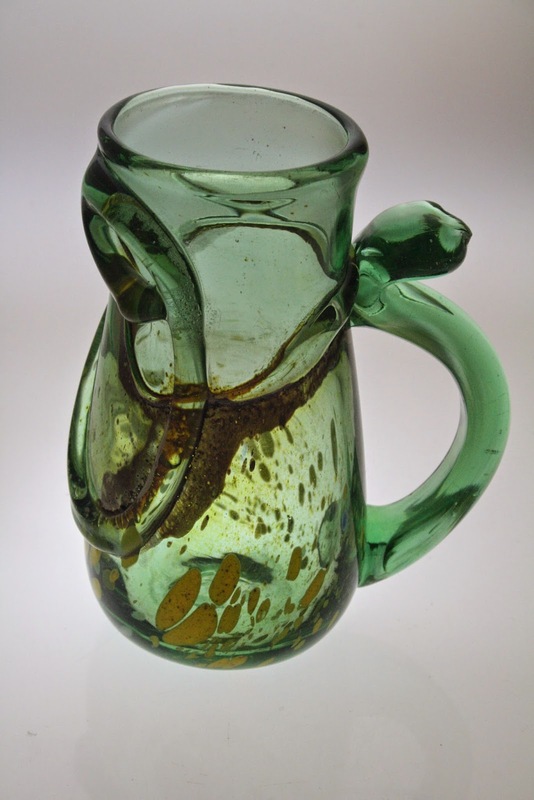 In my last two blogs I have talked about the late Keith Mahy, one of New Zealand’s pioneer studio glass makers. Recently, since I was in the vicinity, I found out from friends where the site of Keith’s second studio was, on the Pahi Peninsula in the Kaipara harbour. I’m always keen to document former (as well as present) glass studios, so I made a visit and took some photos. The studio is, of course, empty of glass making equipment, now being used for storage by the current owners. 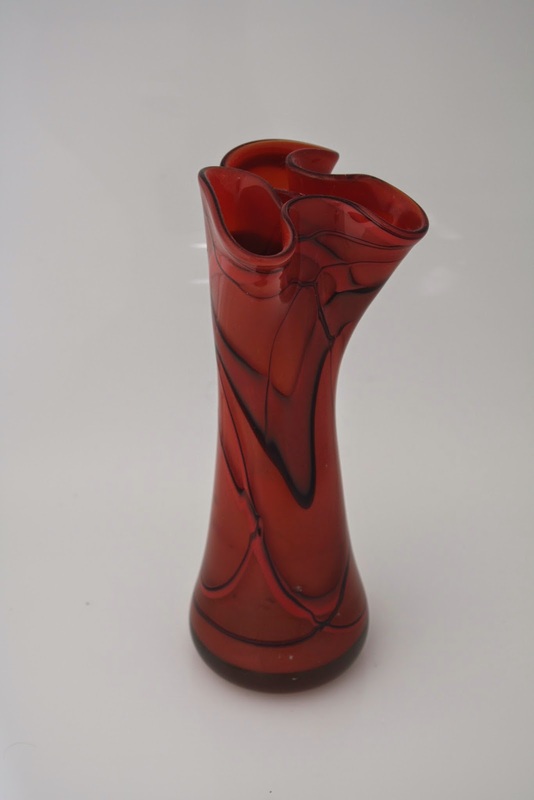 Keith Mahy was one of the pioneer glass artists in New Zealand, and one with a long career. 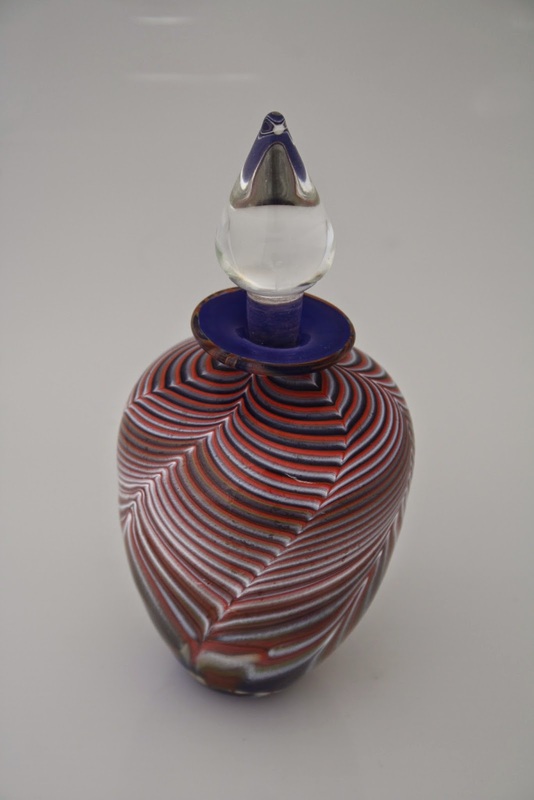 In June 2013, I wrote about Keith’s death (http://newzealandglass.blogspot.co.nz/2013/06/keith-mahy-one-of-pioneers.html), and explored some of his early work on 18 October 2014 (http://newzealandglass.blogspot.co.nz/2014/10/are-these-early-pieces-by-keith-mahy.html). 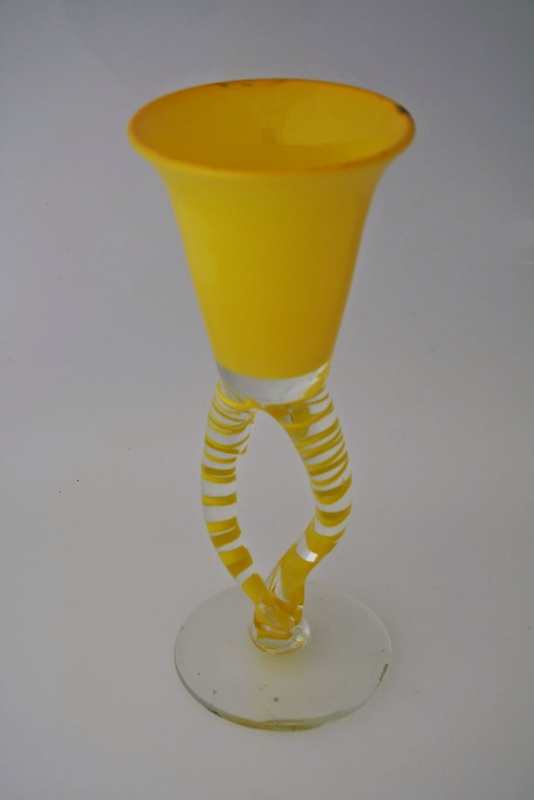 More recently, I showed a range of examples of his work, based on my growing understanding following an opportunity to see examples of his work in the collection of his partner Shona (http://newzealandglass.blogspot.co.nz/2014/12/more-mahy-mahi.html). Shona loaned me a number of archival items, including two fascinating newspaper accounts of visits to Keith’s studio at Otonga, near Hikurangi North of Whāngārei, in 1976 and 1979. 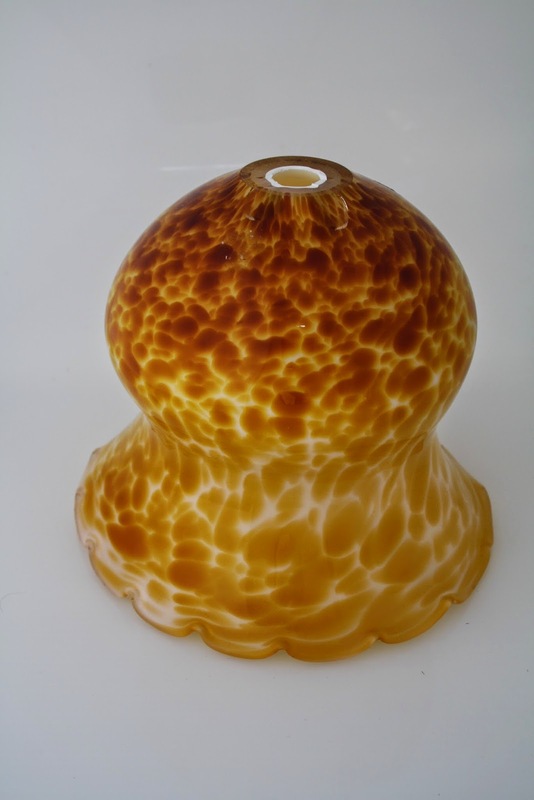 In the 1970s, New Zealanders had very few opportunities to see studio glass blowing, with only Keith, Tony Kuepfer in Taranaki and Reg Kempton in Marlborough operating studios. It would seem that for both these reporters this was a new experience, and so they give very detailed accounts, and thus included a great deal of fascinating detail that a more blasé reporter would have omitted. Neither newspaper is currently available on-line, and so it seems useful to repeat them here, obviously with acknowledgements to the reporters and to the newspapers. ‘Working in the heat of a Northland summer beside a furnace which is roaring away at over 1200C may not be everyone’s idea of the perfect job. But for Keith Mahy, who is living several kilometres north of Hikurangi, it is just what he wants. In fact it is what he gave up a senior position as a designer at Crown Crystal in Christchurch about two years ago to do. And so, while everyone else in Northland is trying to find a way to cool down, Keith will be stoking up the furnace, heating up the kiln nearby and getting down to work. For Keith has taken up the age-old, traditional job of glass-blowing, but without the usual six year apprenticeship and transforming it into a modern art form. Until three months ago he had never physically worked with glass, although he had spent five years preparing designs for others to translate into finished articles. During that time he has watched and studied the craftsmen at the Christchurch factory – union regulations forbid him to actually try it himself. But through his designs and awareness of glass as a material he felt he had become sensitive enough to try it for himself. Two years ago, with his wife and family, Keith left Christchurch and came to Northland, searching for land where they could live, grow vegetables all year round and make a clean break from their previous existence. After finding a farm cottage out of Hikurangi, they settled down and he’s prepared all the necessary equipment and took time to find out as much as he could about the total process. To ensure some income he took up some other crafts – leatherwork and furniture making. About three months ago he began his work as a glassblower stop since then he has worked conscientiously, experimenting, improving, building up stocks and finding outlets for his work. He works regular hours, tries to achieve a set target each day, and approaches his work in a very practical way. Every aspect was thought out, the costs involved were investigated and as many details as possible we worked out in advance. This is because glass is one of the more expensive crafts to become involved in. Keith purchases off-cuts and broken glass from Crown Crystal in Christchurch by the drumful. This simplifies the process considerably, as instead of having to start the complicated glass-making process from scratch, he only needs to heat the glass and liquefy it. ‘In the furnace he keeps two pots of the liquid glass, one clear and one coloured. And armed with a long hollow metal rod he “gathers” the glass on the end of the rod to start the process. 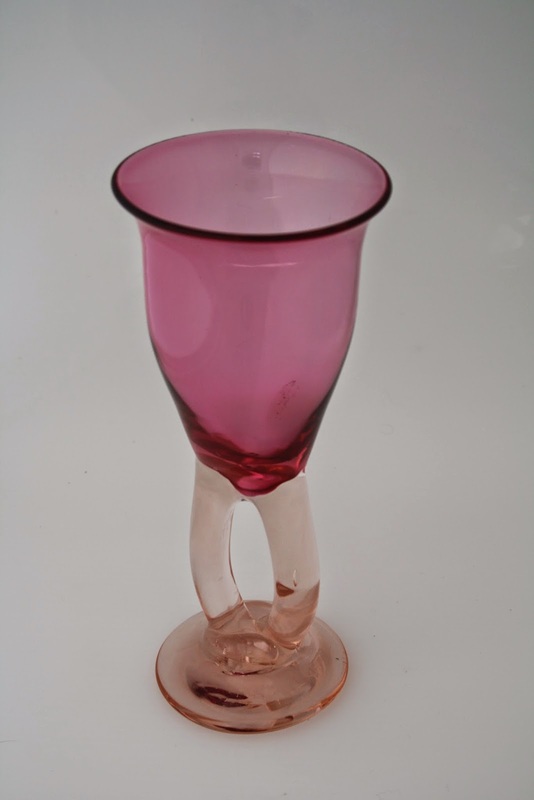 Blowing gently; returning it to the heat of the furnace; blowing; swinging the pipe and growing bubble; dimpling the pliable material to obtain large air pockets; pulling with pliers to obtain peaks and shapes on the outside of the glass; suddenly immersing it in cold water to crack the glass. Constantly returning the growing form to the furnace and then eventually putting it completed into the kiln to cool. It is a fascinating process to watch as the craftsman concentrates on his work. And it is an extremely satisfying one for him. Originally interested as a young man at art school in sculpture, Keith regards his work as a glass-blower a continuation of this. He feels his work to be a type of glass sculpture, but by making jars, bowls, vases, cups and jugs, ashtrays and similar practical objects, he feels he has achieved a happy compromise between making a living and concentrating purely on an art form. 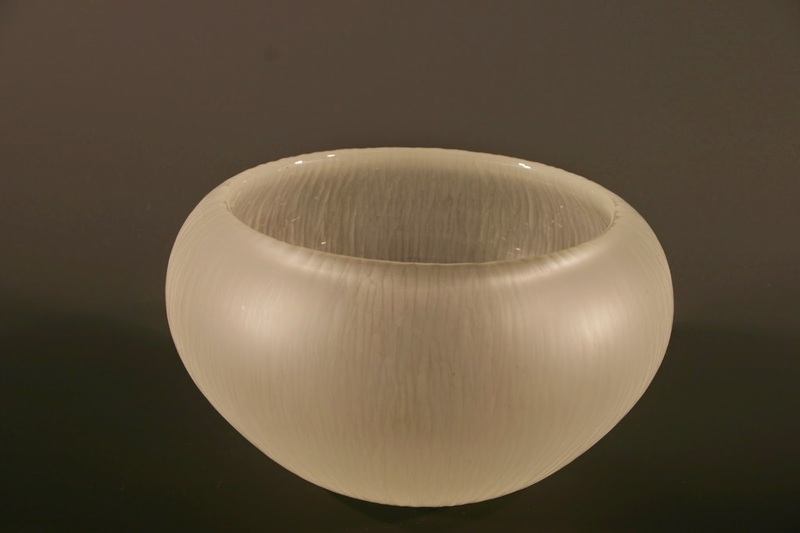 Still very new to the process, he is more interested in developing the form in his work than in achieving perfection and the quality of his glass. However, he does hope that as he eventually becomes more experienced he will reach a balance between form and glass quality. He feels the possibilities which can be obtained through the combinations of form and colour to be immense, and is constantly experimenting with oxides and temperatures to achieve different colours. Until now it has been largely through chance rather than intention that he has obtained the colours he has. 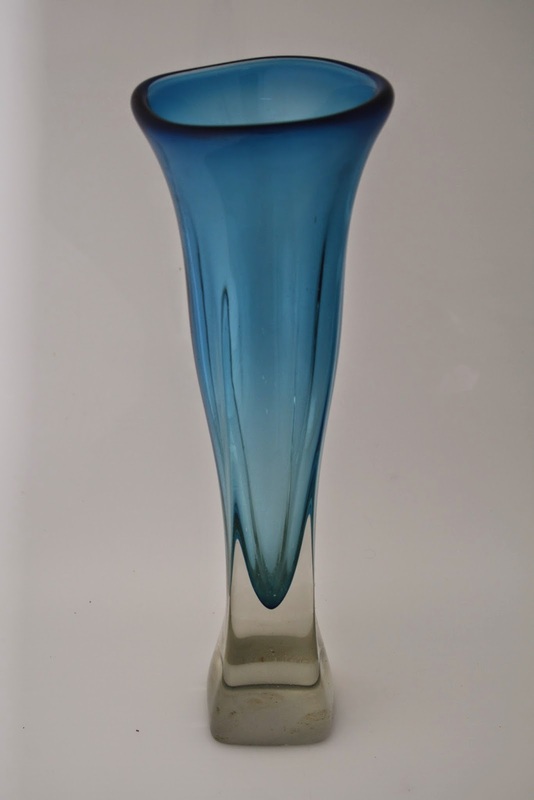 Intensity of colour can be obtained by increasing the number of “gathers” in the coloured liquid glass or reduced by a combination of coloured and clear “gathers”. ‘Anyone wandering past Keith Mahy’s place, north of Hikurangi, could not be blamed for thinking he was taking the odd pot shot at them. After all, he has the reputation in the area of being someone who gets very heated at times. However, 31-year-old Keith, who for the past two years has spent most of his time in a derelict milking shed in the middle of a paddock, is far from hostile. He is a full-time glassblower, probably one of only three in the country. From the road his “studio” would never be noticed if it were not for the odd explosion and the halo of yellow light surrounding it at nightfall. Keith Mahy is making a living from blowing glass but is still feeling his way and trying out new ideas to satisfy his own curiosity about the substance that fascinates him so much. To do this he has had to face some shattering experiments. Minutes after coaxing a red-hot blob of glass into the shape of an elegant vase, his prize piece can shatter into hundreds of pieces, only to be swept up and recycled. As he pulls the door of his home-made furnace open the glare from the sea of white-hot glass inside makes him reel slightly. He wipes the beads of sweat off his forehead and wriggles into his favourite blowing shoes – a pair of semi-detached sneakers, ripped around the seams for “good ventilation”. For the past 24 hours Keith Mahy has been feeding his furnace with bottles he has collected around the neighbourhood, subjecting them to temperatures of up to 1500°C. He puts in a metal blowpipe and gathers a blob of glowing glass like treacle on a spoon. With all the sensitivity of a musician playing a wind instrument, though he says he has never played one, he blows through the pipe and the bubble on the end turns into a light bulb. With all the precision of a drum major as he twirls the pipe in his hands and goes through carefully rehearsed steps, keeping the glass moving while it is still hot. He rolls it sitting in his special wooden armchair, thrusts it back into the furnace, allows the fat blob to grow to twice its length and patterns it with a few carefully aimed prods. If the result does not reach expectations then it is thrown back into the furnace to be born again. Turning out a different piece every ten minutes makes Keith’s job appear deceptively easy. But if he does not act quickly once he has the glass out of the furnace it can turn into an uncontrollable mess. His skill lies in the way he can coax it according to a whim without it ever eluding him. In spite of the idyllic setting, Keith admits that like most people the job sometimes gets him down. “It gets so hot in here I get very short tempered at times. To counteract that I prime myself up beforehand on plenty of water and glucose”. Then when he decides he has done his dash for the day he has to give his body time to adjust to the change in temperature before setting out across the paddocks in the cool night air to his home. If he does not he is likely to catch a chill. An unattributed 1982 cutting in the Mahy scrapbook, probably from the Northern Advocate, was written after he had moved to Pahi. 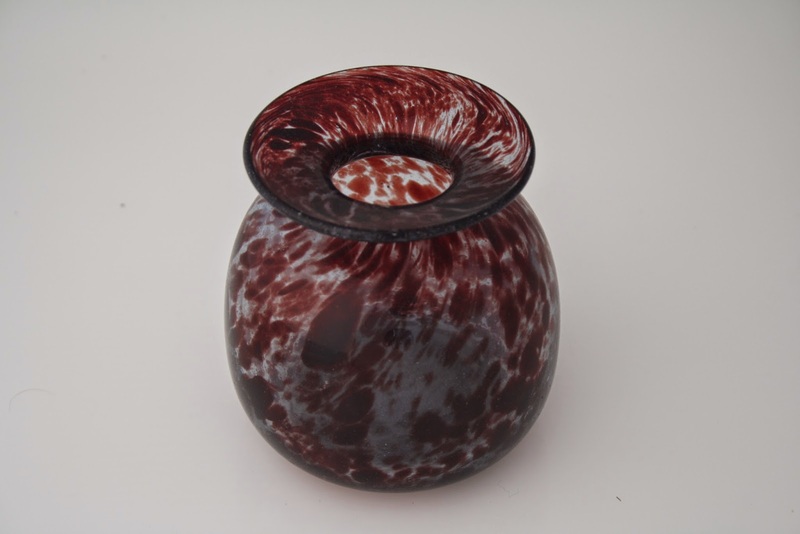 Each piece of Keith Mahy’s hand blown glass is unique. Patterns of native foliage framed by the semi-circular barn in which he works have inspired most of the shapes – from the strong, plain lines of his goblets and bowls to the fantastical swirls and flow featured in his vases and decanters – but the fluid medium in which he creates has led to a ‘chance effect’ in the end product. ‘What I produce could be called mass-produced because I turn out a lot of the same things,’ he says, ‘but because I free-blow, everything comes out totally individual.’ Mr Mahy often does not know what is he is going to create until just before he starts to blow. The spontaneity shows in his work: many pieces appear to have grown, and frozen in place, naturally, rather than having been made from a static design. Even his rejects are eye-catching. At one shop in Christchurch display of his ‘failures’ – a stand of saggy wine goblets – could have been sold several times over. Mr Mahy has been blowing glass for a living for six years, two of these on his 10-acre block overlooking a Kaipara inlet off the Pahi road, but he maintains he still has only relative control of the medium in which he works. He loves working with glass. He talks about its ‘human vitality’ – and is constantly experimenting. ‘Lots of things I do I have seen somewhere but I am not totally influenced by that. I try to get a fresh approach.’ Many of his ideas are taken from the native Bush outside his studio, he says. A graduate from Elam School of Fine Art in Auckland, Mr Mahy considered glass as a ‘sculptural (three-dimensional) medium’ only after designing for Crown Crystal in Christchurch. He had no models to emulate when he went out on his own. He welded his own blowing irons (ponteils, or puntys as they are called in New Zealand), carved his own shaping tools (‘pear-wood is the best’) and accumulated and adapted conventional tools for cutting and working the hot glass. Friends and neighbours supply him with ‘empties’: he prefers to use recycled glass to making his own. He claims that enthusiasm (‘I get a kick from the physical properties of the material’) and hard work have carried him to the stage where he really enjoys what he does. I’m a collector, not an artist! 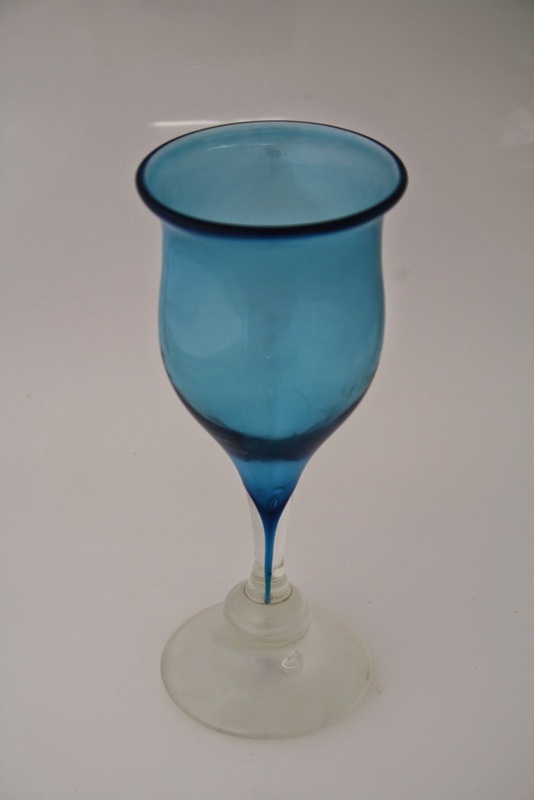 Originally posted at http://newzealandglass.blogspot.co.nz/2014/12/more-mahy-mahi.html on 14 December 2014. For those of you not conversant in New Zealand Māori, that’s a poor attempt at a pun. Mahi is Māori for work, and I want in this post to explore more of the work of Keith Mahy. 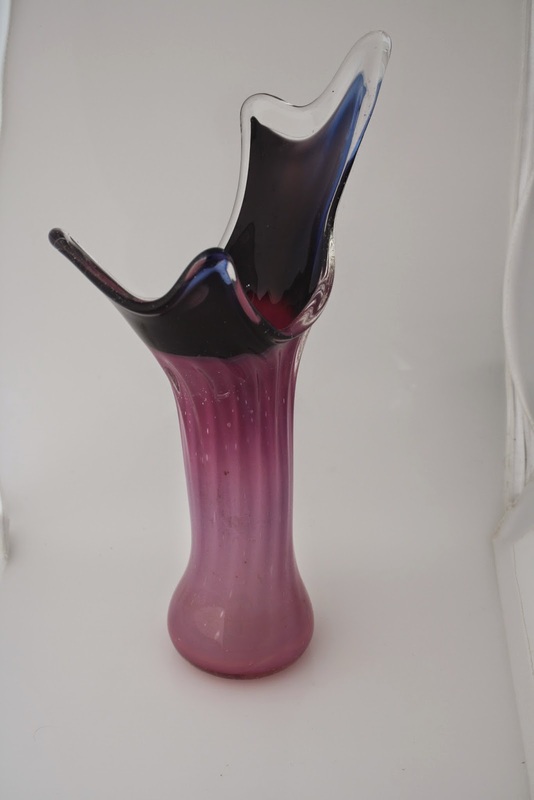 In June 2013, I wrote about Keith’s death (http://newzealandglass.blogspot.co.nz/2013/06/keith-mahy-one-of-pioneers.html), and explored some of his early work on 18 October 2014 (http://newzealandglass.blogspot.co.nz/2014/10/are-these-early-pieces-by-keith-mahy.html). Following that I have had a wonderful opportunity to talk with Keith’s partner Shona, and see the wide range of examples of his work that Shona has. I was able to photograph these, and Shona kindly gave me several pieces. 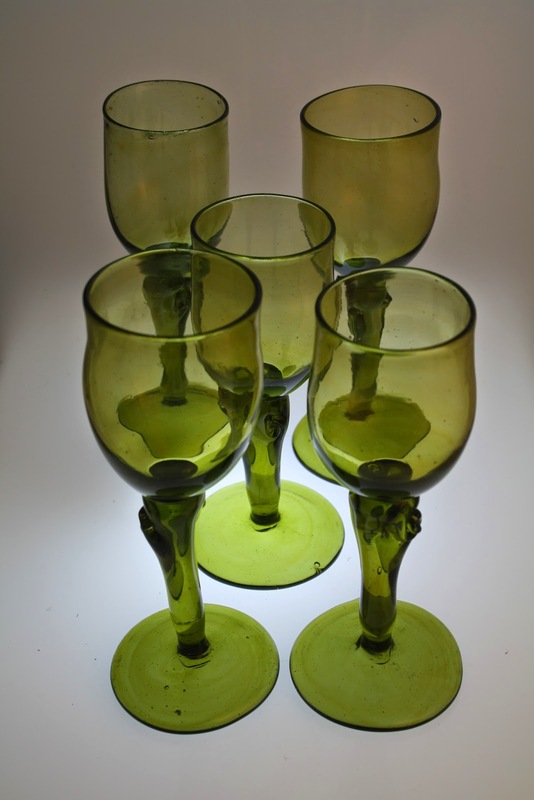 I’ve also come across some pieces held by others, and most recently was able to buy five wine goblets on TradeMe. Keith was one of the pioneer glass artists in New Zealand, and one with a long career. This blog presents examples of Keith Mahy’s extensive glass practice, from the time he came to Northland from Christchurch in 1975 to set up his studios, initially at Otonga in 1976, then at Pahi from 1979 and lastly from 1986 in Whāngārei, at Northland Polytechnic and at Burning Issues. A couple in Whāngārei bought this decanter set and two pair of wine goblets, from the wine shop in Hikurangi in the 1970s. Keith saw a marketing opportunity in selling his work through a wine shop, so customers could purchase both the glasses and their contents. These similar goblets belong to a friend who bought them from Keith’s studio at Pahi in the 1980s. 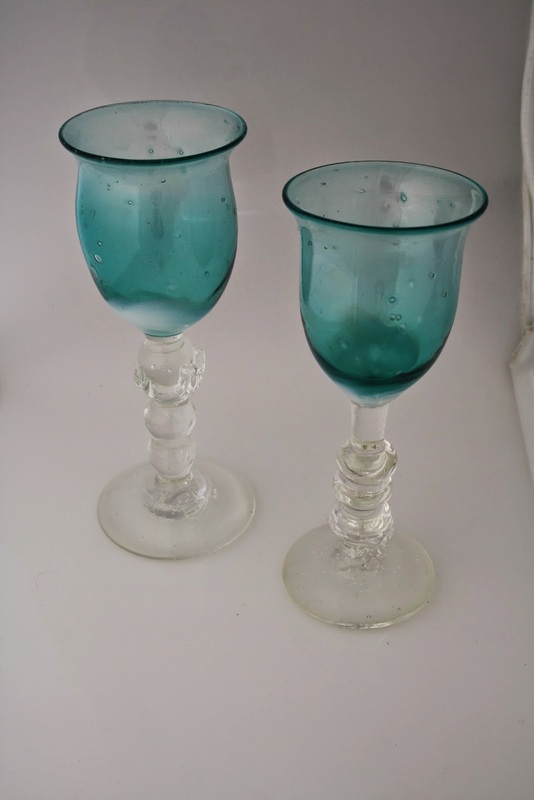 This pair of goblets, also bought at the wine shop in Hikurangi, are decorated with applied ‘squiggles’ (technical term! ), which links them to Keith’s use of this decoration on other pieces. I have puzzled over this small stoppered bottle for a decade, and finally the squiggles confirm I can be sure it was made by Keith Mahy. But I couldn’t make up my mind about this decanter and goblets, which I see now are clearly Keith’s work, so I left them in the second hand shop where I found them. Sadly, it later closed. I wonder where they are now? 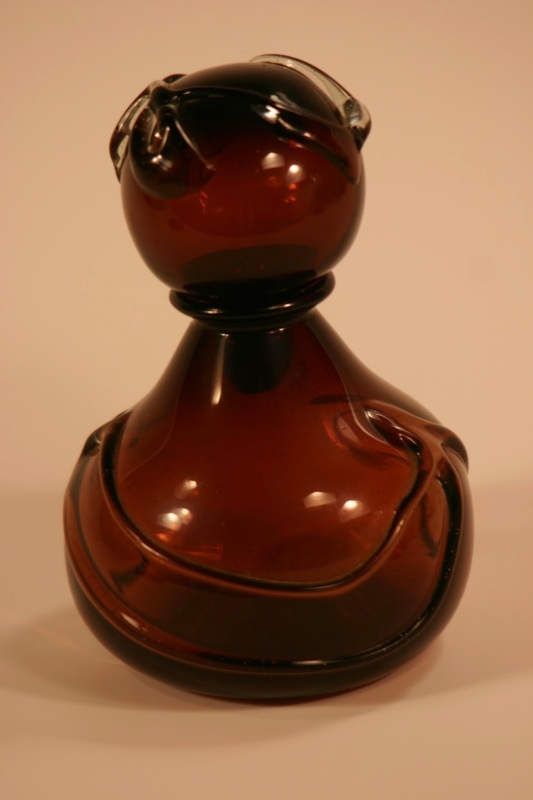 This decanter right belongs to a collector in Taranaki, who emailed seeking my opinion. I wasn’t sure, but now I’m quite confident it is by Keith. The following pieces, from a range of dates, are part of the Mahy Collection held by Shona. The exaggeratedly flared rim on this piece was a trademark form of Keith’s. I was delighted recently when a potter from Havelock North listed on TradeMe five wine goblets she had bought from Keith Mahy’s studio at Pahi about 1980. 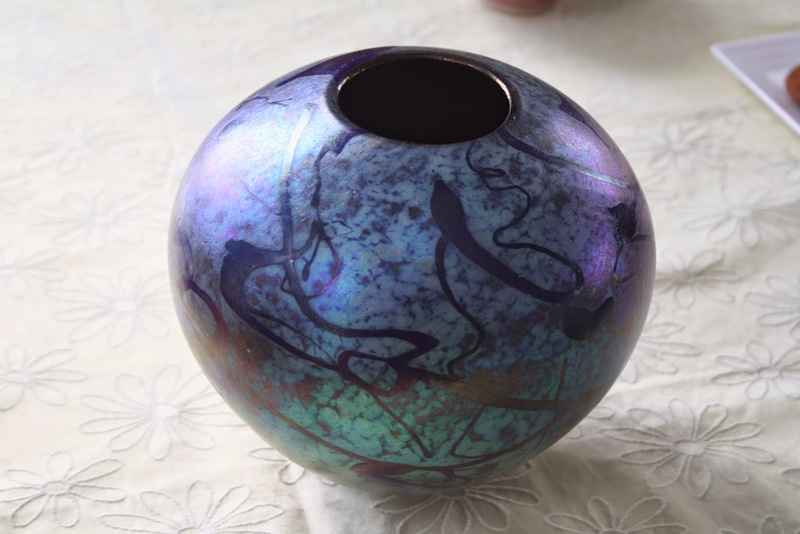 She had also been at the very first conference and workshop of NZ Society of Artists in Glass at Taradale in 1980, and had a try at glass herself, using the portable kiln Garry Nash made, though she has pursued ceramics rather than glass as a career. On either side of the slightly flattened stem is the small ‘manaia-like’ detail that Keith liked to use in his early work – it’s very helpful in identifying some of his pieces. As well as the glass itself, some of the treasures Shona gave me access to are Keith’s scrapbooks, which contain a wealth of information. There’s probably the making there of a further Mahy blog – watch this space! 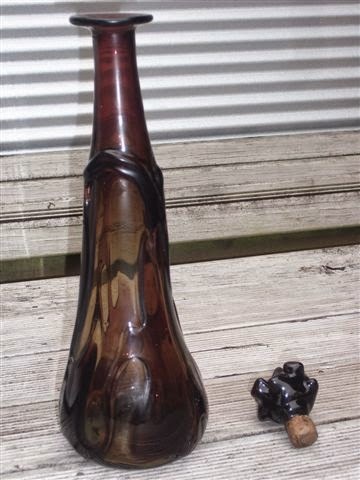 One of the great thrills of hunting for glass on internet auction website TradeMe is when you buy something you don’t know what it is, but you have a hunch, and it turns out to be something quite special. But here’s one of the success stories. 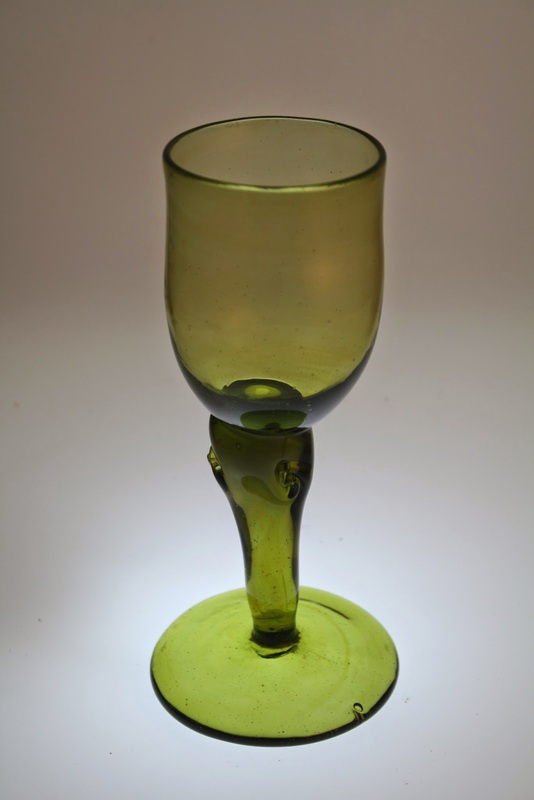 A chunky art glass goblet, the trader said, with GBC 1979 engraved on the base. No other clues as to its origin or the identity of the maker. The auction was set for bidding to start at $20, with no reserve price. I racked my brains to think who GBC might be, but to no avail. There was a photo, which had hints of NZ glass – Keith Mahy seemed a possibility, but he clearly wasn’t ‘GBC’. The photo wasn’t as clear as this one, which I took once the piece arrived, but it was good enough to encourage me to bid. So I did. There was no interest from anyone else, so my opening bid of $20 was successful. Garry Nash has always been helpful in my NZ glass research (as indeed have others), and he was involved in the glass scene in 1979, so I thought I’d send him an email to ask what he thought. A few days later I happened to be in Auckland so I called in to Nash Glass to see if Garry had any thoughts about it. Talking about it with Garry Nash and his colleague Claire Bell, Claire said ‘that could be a J, what is John Croucher’s middle name?’ Garry said at once ‘Barry, John Barry Croucher’. Which made for a really exciting possibility. Once the piece arrived and I could handle it, I could confirm that it indeeed it had JBC 1979 on the base, as you can see in the photo below. So I am thrilled to be able to add this to my collection. I have several early Crouchers, but this is one of the earliest, and certainly the earliest signed one. The glass is very similar to that used in the decanter I have blogged about before, that was bought at Sunbeam in 1979 but is not signed. (See ‘An Early Piece of Sunbeam Glass?’ from May 2007). John was unable to be certain which of the early Sunbeams had made the decanter, identifying Danny Keighly, Ken Cooke and himself as possibilities, though he didn’t think he had made it. But with the signature, there can be no doubt who made this goblet. Just to round out the story, here are two other early pieces signed by John that I have bought on TradeMe, though I paid quite bit more than $20, since the vendors knew what they were. The vase at left is signed ‘J Croucher 1982’ and the ‘Hot Lips’ sculpture at right is signed ‘J Croucher 83’. In 1994, Australian glass visionary Maureen Cahill and coal industry executive Andy Plummer teamed up to establish the (then) Resource Finance Corporation or RFC Glass Prize. It involved an annual monetary prize for a work of glass made by an artist in Australia or New Zealand, with the winning piece being acquired for the Ranamok (formerly RFC) Collection. RFC morphed into Whitehaven Coal, Eureka Corporation and Excel Corporation, and the prize morphed in the Ranamok Prize. The first exhibition was held at the Earth Exchange Museum in Sydney in 1995 and now, in 2014, the 20th Exhibition, being held at the Canberra Glassworks before travelling to Sydney and Brisbane, has been announced to be the last. The Ranamok collection of works by the winners will be donated to the Australian National Gallery in Canberra, which will make it accessible on an ongoing basis. The Ranamok Prize has provided an opportunity for a veritable Who’s Who of Australian and New Zealand glass artists to show their skills and compete for the prize. Some of the entrants have been quite new to glass, keen to see how their work stands up in that environment, while Ranamok has also attracted entries from some of the leading glass artists of both countries. 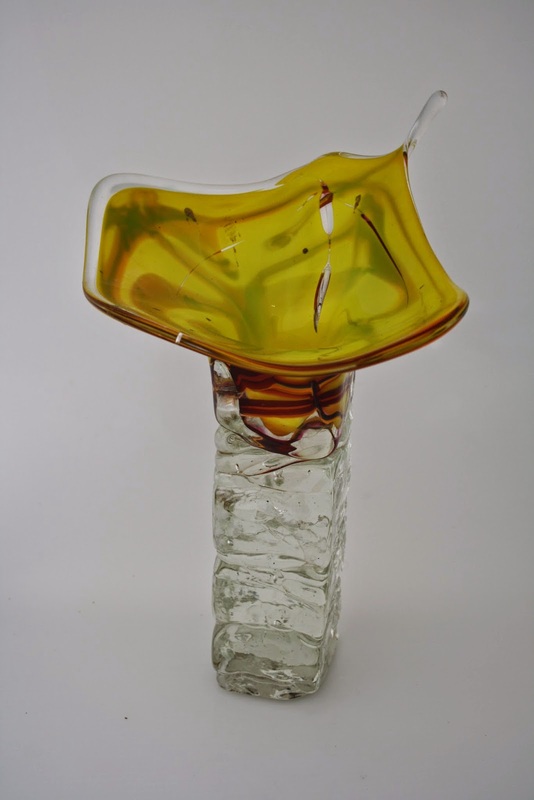 The 2014 Ranamok Prize has been awarded to Kathryn Wightman, who teaches at the Glass School in Whanganui. Dr Wightman’s 2011 PhD from the University of Sunderland explored the integration of glassmaking and printmaking, with the development of a number of creative glassmaking processes inspired by printmaking processes, especially related to textiles. Warmest congratulations, Kathryn. 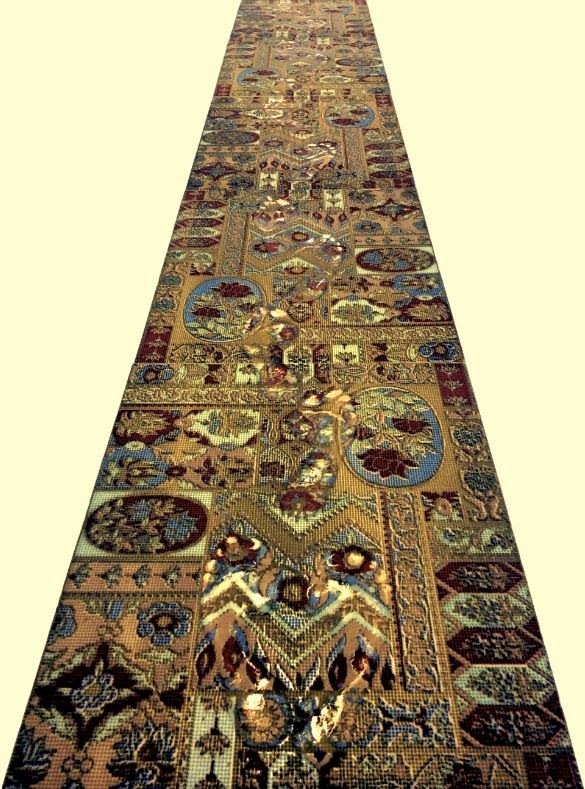 Kathryn’s prize-winning work is a truly remarkable three metre long carpet runner in glass. 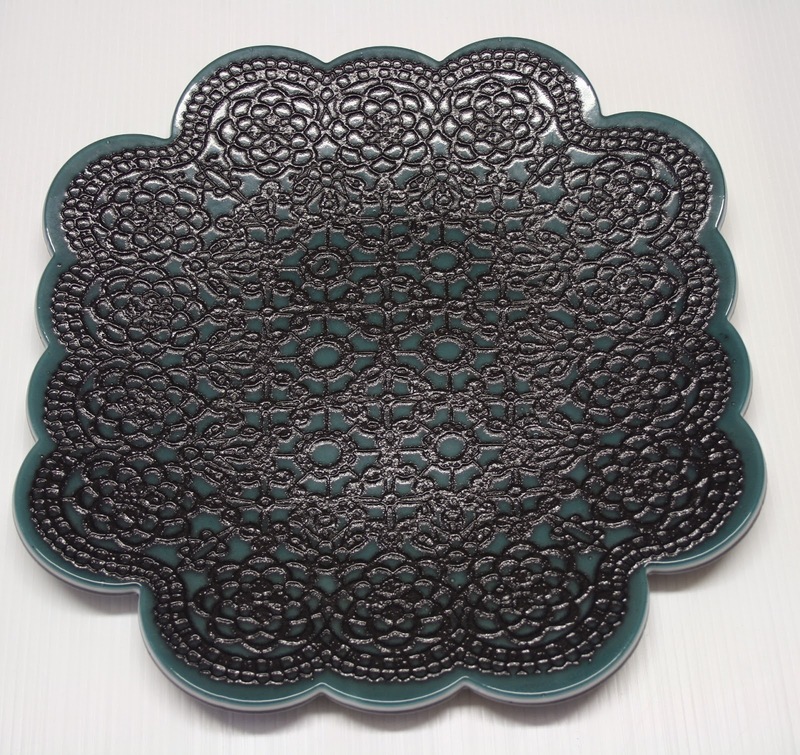 Kathryn screen-printed coloured glass powders to create a textured carpet pattern. Then, as photos on her Facebook page show, she walked barefoot along the carpet, leaving footprints in the ‘sand’ of the glass colours. 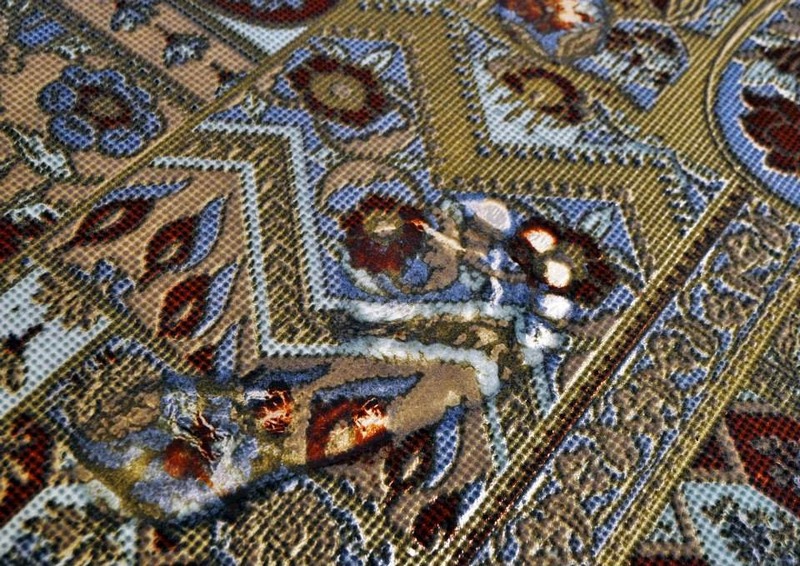 The ‘carpet’ was then fused in the kiln to create the resulting glass masterpiece. The only New Zealand finalist in the first RFC Prize in 1995 was Kirsten Sach of Glen Eden. In 1992 Kirsten was a student at Carrington Polytechnic, and I was pleased to buy this small cast glass ‘Lotus Cup’ from an exhibition at ‘The Pumphouse’ in Takapuna that year. Kirsten’s Ranamok entry in 1995 was a much more developed work – you can see it on the very fine and profusely illustrated Ranamok website http://www.ranamok.com, which features the work of all the Finalists and the Prize winners. New Zealand winners at Ranamok have been Emma Camden (1999), David Murray (2003) Evelyn Dunstan (2007), Lisa Walsh (2009), Sue Hawker (2010) and now Kathryn Wightman. I’m delighted that my own collection includes works by all of these except Lisa (must do something about that, Lisa!) even if they are not always quite as grand as the winning pieces. New Zealand Ranamok finalists represented in my collection include Ruth Allen, Claudia Borella, Lee Brogan, Dominic Burrell, Christine Cathie, Mike Crawford, Keith Grinter, Robyn Irwin, Nicole Lucas, Keely McGlynn, Lyndsay Patterson, Lou Pendergrast-Matheson, Rachel Ravenscroft, Carmen Simmonds, Greg Smith, Hoana Stachl. I even have works by Australian finalists Ben Edols and Michael Larwood in my small non-NZ collection. There have been other NZ finalists, of course, but not represented in my collection – I guess I’ve just developed a shopping list! But I conclude by showing my very own Wightman. You could say I was an ‘early adopter’ of Kathryn’s work in New Zealand. She arrived to take up a position as tutor at the Glass School in Whanganui in May of 2012, and gave a presentation at the NZSAG conference Generate in Whanganui in October 2012, talking about her work printing and creating ‘textiles’ in glass. I found this fascinating, and struggled to understand just how she did it (I still do, rather). In the associated exhibition of work for sale, Kathryn showed three platters which were some of the last she had made in Sunderland before coming out to New Zealand; I was delighted to be able to buy one of those. In my last post about Sue Treanor, I mentioned Elizabeth McClure as Lecturer in Glass at Carrington Polytechnic, UNITEC in the 1990s. 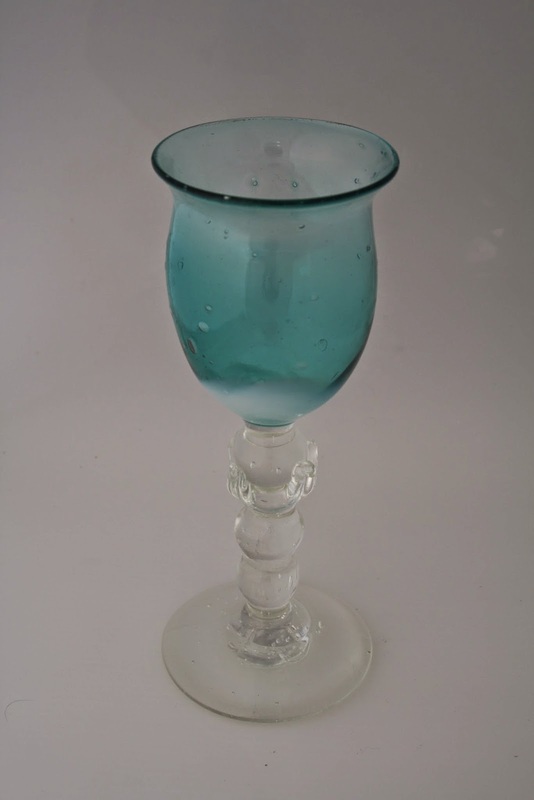 Elizabeth is someone whose role in New Zealand glass is perhaps less well known. To my shame I recall giving a talk about glass in the 1980s in New Zealand without mentioning her, when she was in the audience! She was very gracious about it, and we subsequently had a good interview, in the course of which I learned a lot. I first saw Elizabeth’s work in March 1994, at an exhibition Little Jewels organised in the James Cook Hotel in Wellington by the regrettably short-lived Arts Marketing Board of Aotearoa (AMBA). I purchased this exquisite scent bottle there. It’s small and delicate, only 5.2 cm in diameter, and decorated in enamels. It was made in September 1993 – Elizabeth is meticulous in marking her work detail. 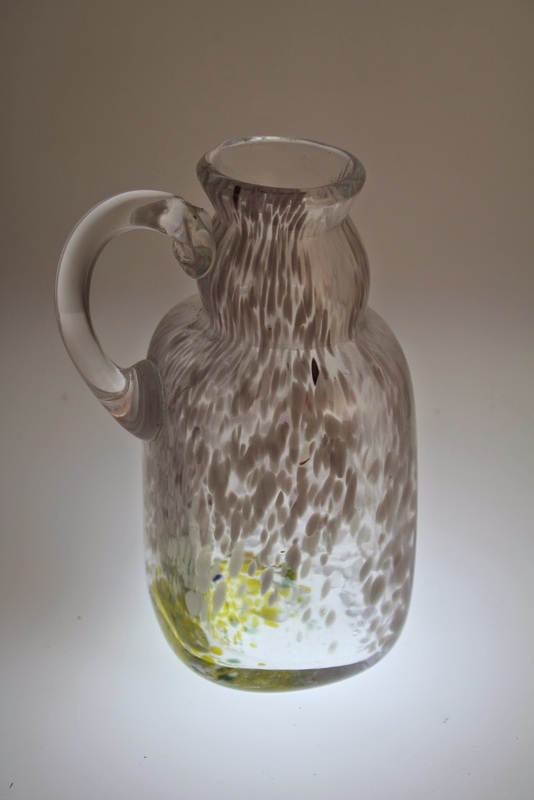 The bottle had originally been shown in Making Marks the first solo exhibition of her work after her return to New Zealand, held at the also short-lived Glass Gallery in Ponsonby. The exhibition title aptly references the coloured markings on the pieces. In her review of the exhibition, which I didn’t get to see, New Zealand Herald writer Helen Schamroth noted the work consisted of two groups, large generously proportioned bowls and tiny perfume bottles. Fortunately for me, one of the tiny perfume bottles didn’t sell in Auckland, and so formed part of Little Jewels in Wellington. 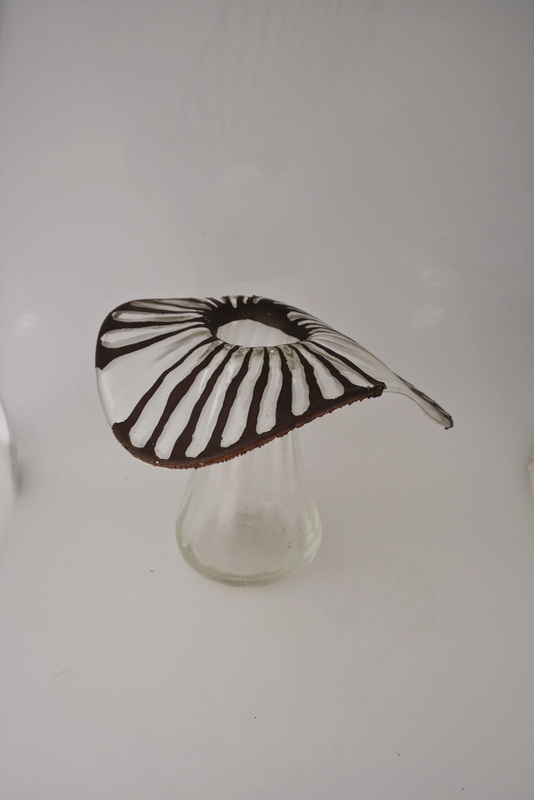 Elizabeth had taken up appointment in September 1993 at Carrington as Lecturer in Glass. What I didn’t realise then, and indeed not until a decade later, was that this was her second period in New Zealand. Elizabeth McClure was born in Lanark, Scotland, and qualified in Glass Design at Edinburgh College of Art. 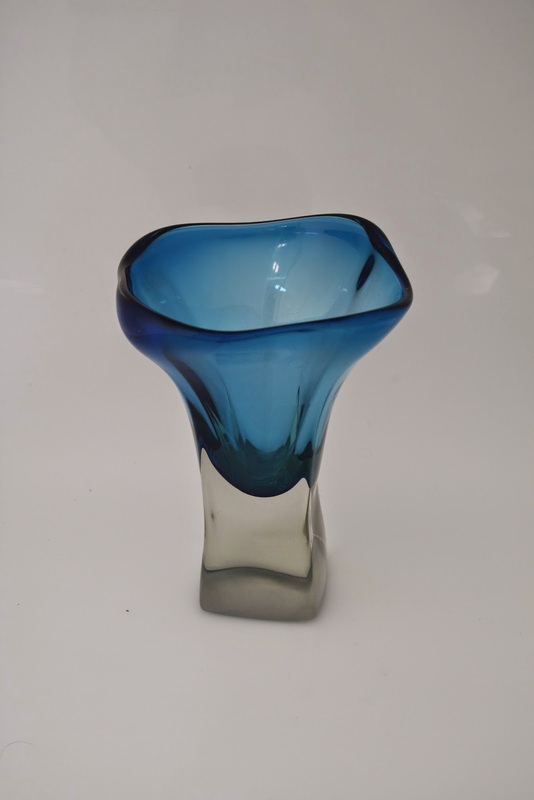 She worked for a number of UK glassmakers, ranging from Wedgwood Glass to Michael Harris’s Isle of Wight Glass, and also taught glass courses in Sunderland, Dublin and Tokyo. In 1985-6 she taught and worked as a designer of glass in Japan. During this period Elizabeth had a number of contacts with New Zealand and New Zealanders, meeting Kiwis in the UK and, through NZSAG, corresponding with several NZ glass artists including Ann Robinson. Elizabeth’s sister had come to live in Wellington, and in December 1986 Elizabeth came to visit her. When she arrived, there was a Sunbeam glass show at the Dowse Art Museum in Lower Hutt. She was impressed by the scale and the competency of the work, and renewed her contact with Ann Robinson. She went to Auckland, where John Croucher and Ann met her and showed her the Sunbeam premises, which she loved it. Ann was especially pleased to meet another woman glass blower, in what was largely a man’s field in New Zealand at the time. A number of New Zealand polytechnics had set up craft and design courses. 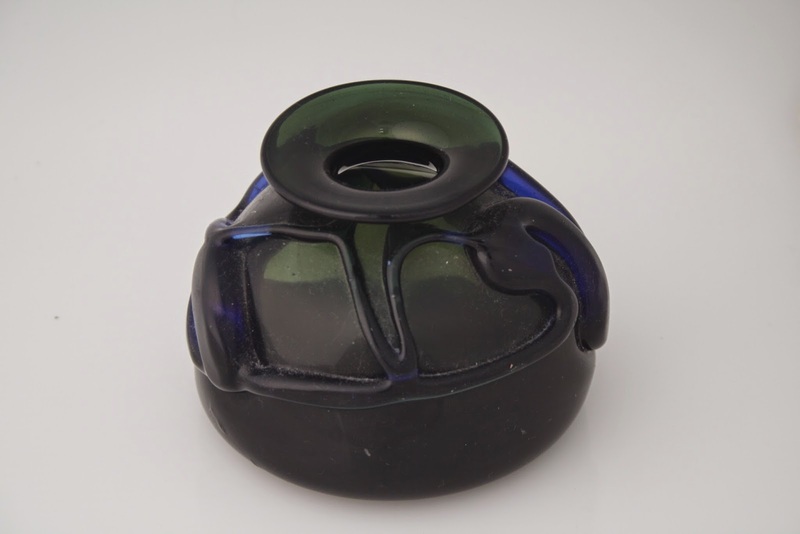 Only Whanganui had glass specifically, but if there was a kiln, then work with glass was feasible. Elizabeth had trained and worked in all sorts of glass media, and was able to turn her hand to almost anything. The Crafts Council sponsored her as a visiting glass artist. They paid her fare to Invercargill where she started. Southland paid for her to get to Dunedin, who paid for her to get to Nelson, and so on. From Nelson she went to Christchurch, Wellington (which didn’t have a design school), Whanganui, Hawkes Bay, Hamilton, Auckland for a NZSAG workshop, and to Northland, though that one fell through. Elizabeth then based herself in Auckland, using the facilities at Sunbeam, including being able to blow some big pieces – until then her work had been mostly small, because she had access only to small facilities. Then in 1993 Elizabeth came back to New Zealand, to be involved in the setting up of the glass course at Carrington, as Lecturer in Glass. For reasons too complex to describe here, things didn’t work out and she left Carrington at the beginning of 1995, but in that time she taught and influenced quite a number of New Zealand’s present day glass artists. Since then, she has followed a New Zealand-based but wide-ranging career as glass artist and as teacher of glass. 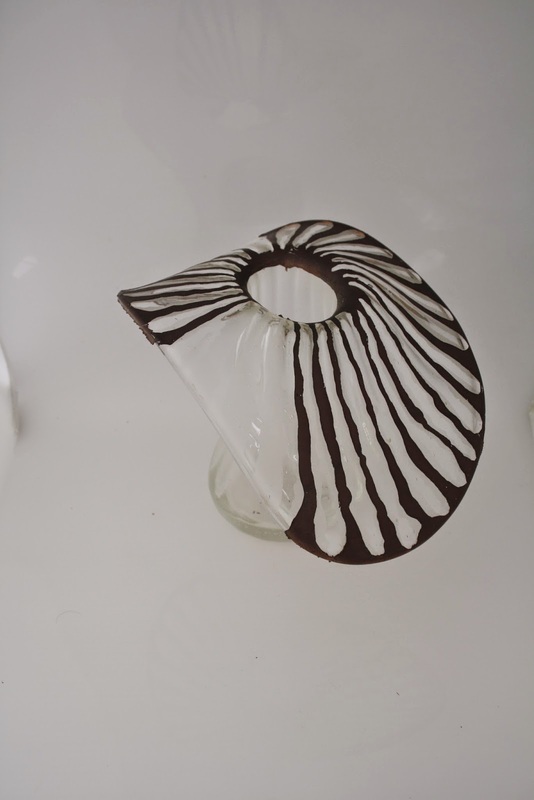 In 1997, Elizabeth McClure was awarded a three month Fellowship at the Creative Glass Centre in New Jersey. While there, she blew about 150 ‘blanks’, with a view to cold working these when she returned to New Zealand. The last 40 or so of those pieces formed the wonderful solo exhibition ‘Seasons of Change’ at the Dowse Art Museum that resulted from her receiving the inaugural Thomas Foundation Glass Award in 2001. I was delighted to purchase the piece above at that exhibition. It’s 18cm wide. 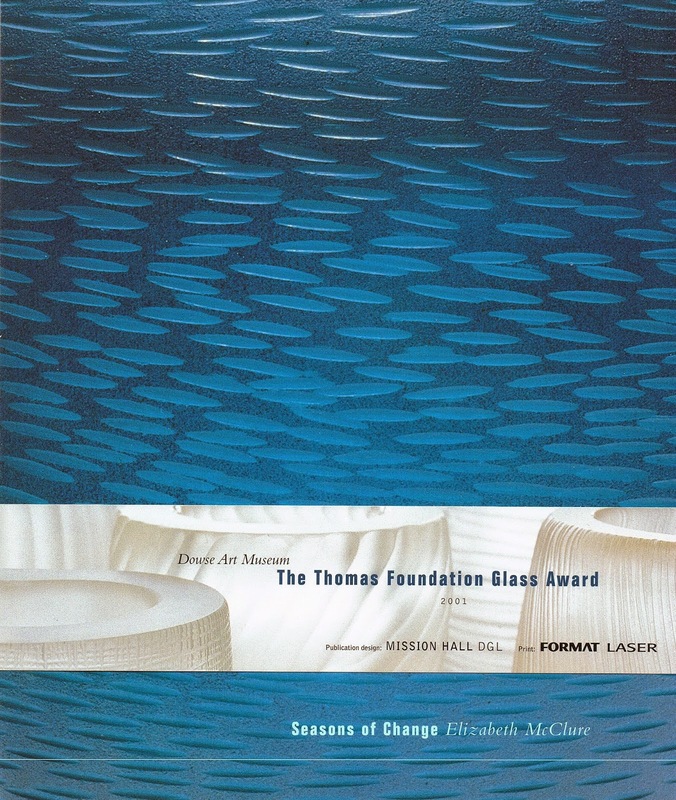 Australian curator Grace Cochrane write a most insightful essay about Elizabeth’s work and career, which was published to celebrate the Thomas Foundation Glass Award.The third piece of Elizabeth’s glass in my collection was made in February 2003. ‘Marui sculpture #3’ shows Elizabeth’s ongoing sensitivity to the Japanese aesthetic, as well as her amazing patience in the cold work treatment she frequently gives her surfaces. Perhaps appropriately, it was part of an exhibition at Masterworks‘ waterfront gallery timed to coincide with the America’s Cup races in 2003, entitled Showing Off. It is 5.5cm in diameter.